It’s OK. Everyone at one time or another has been guilty of speeding and maybe even running a red light or stop sign. Clearly, you’re not public enemy #1 after a traffic ticket. At the same time, you might not fully understand some of the potentially harsh consequences if convicted of certain offenses. 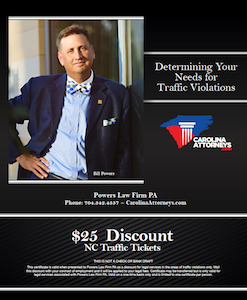 Minor infractions (traffic tickets) can lead to bigtime insurance headaches, especially if you have a bad driving record and/or if NCDMV suspended your license due to points or DWI in NC. We offer legal advice based on years of experience, compassion, and hard work. 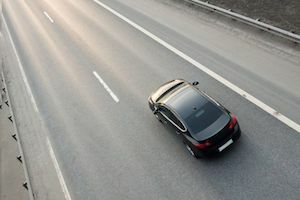 We’re more than willing to explain things like insurance points vs motor vehicle points, how a driving history can affect your license, and the implications of at fault accidents, relative to traffic tickets and the Safe Driver Incentive Plan. Before doing anything, talk to a lawyer. Traffic lawyers, at least at our law firm, offer a free consultation. That means it doesn’t cost anything to call us, ask questions, and see what we can do to help. That may come as a surprise to you. Frankly, traffic tickets can get real complicated, real fast. It’s important you understand and appreciate the differences between insurance points and motor vehicle points. How Does Traffic Court Work in Charlotte? The two biggest court systems in North Carolina are in Mecklenburg County and Wake County. Traffic tickets that take place in and issued in the Charlotte-Metro region are normally first assigned to Courtroom 1130. Courtroom 1130 is what criminal lawyers call “Admin Court” or administrative court. There aren’t trials in admin court. Police officers don’t appear for the administrative setting, so you shouldn’t plan on having your charges dismissed because the police officer didn’t show up. You can appear on your own behalf in Courtroom 1130. That’s called pro se legal representation. That basically means you represent yourself without the assistance of an attorney. Many traffic tickets do not allow for the appointment of legal counsel (public defender). That means you don’t necessarily have the right to an attorney paid for by the State for certain more minor traffic tickets. If you appear on your own behalf, you should not assume the charges will be dismissed because you have a clean record. If you plan on going to traffic court in Charlotte, be prepared to wait. Courtroom 1130 can get incredibly busy, with sometimes hundreds and even thousands of different matters being set for disposition. And finally, if you have legal questions about how your traffic ticket may affect your insurance or points issued by NCDMV, the prosecutor (the ADA / the “State”) is legally barred from answering legal questions or giving legal advice. BTW, that’s true too for judges. We firmly believe that just because you have been cited for a traffic violation does not mean you should plea guilty of a traffic violation. We understand that violations can happen, but they are not something we take lightly. If you’re facing the possibility of a license revocation in North Carolina or license suspension (criminal lawyers tend to use those terms interchangeably), it’s time to seek legal counsel. DMV issues in NC are often complicated and timing can be key. 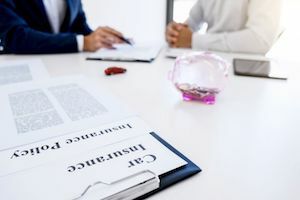 Failure to request a revocation hearing or properly challenge a license restoration in a timely fashion may result in the waiver of your right for administrative relief. In fact, there are strict guidelines regarding whether you’re entitled to a restoration hearing and/or license suspension review. If you have questions about whether a traffic ticket or other criminal case can affect your ability to drive in North Carolina, talk to an attorney immediately. These situations often arise when a client doesn’t understand the restrictions that are currently placed on their license as a result of a previous criminal case or traffic violation. At Powers Law Firm we will make sure you understand the terms of your license restriction or suspension, working to avoid further problems with you license, if that’s possible under the NC criminal laws. When we handle traffic violation cases we understand that your ability to drive may be in jeopardy. We know that getting to work, taking your children to school and generally getting around can be extremely difficult without the ability to drive. Call NOW: 704-342-4357 to discuss the specifics of your case and to see what the traffic violation defense attorneys at Powers Law Firm can do for you.